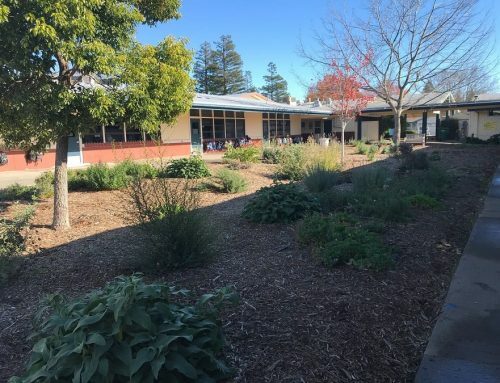 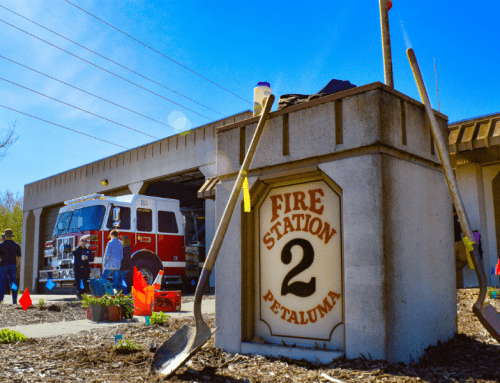 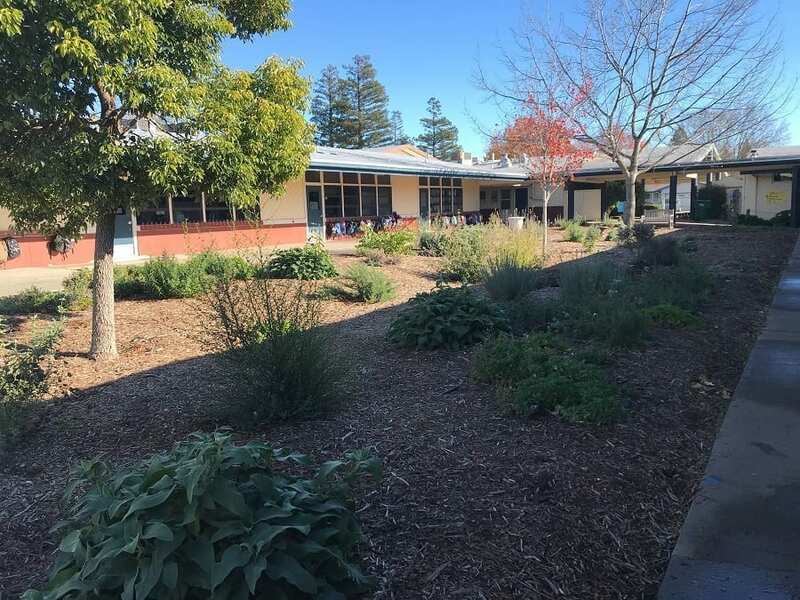 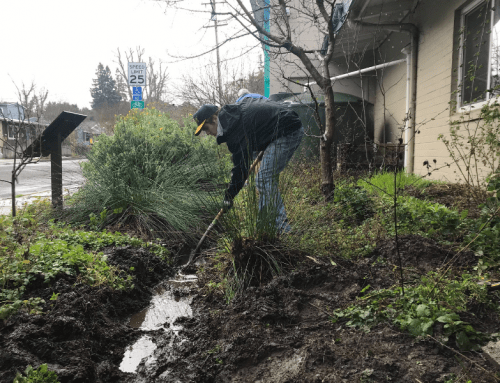 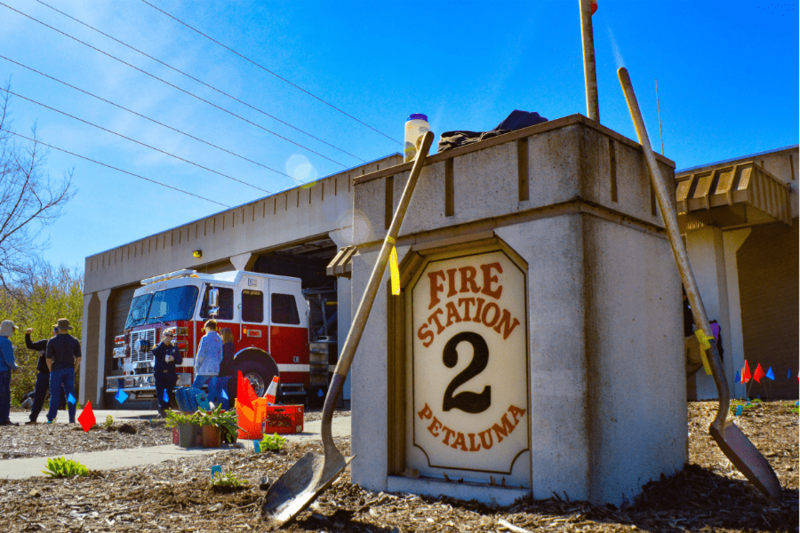 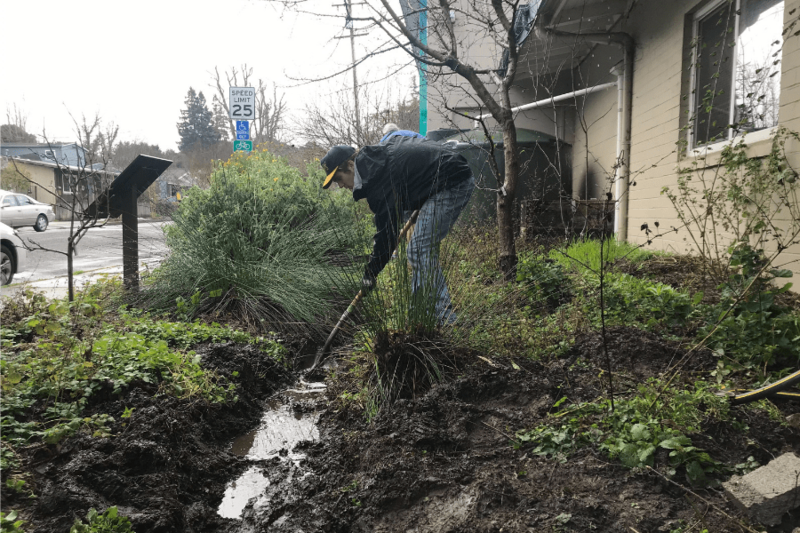 Daily Acts partnered with Petaluma Regional Library and the City of Petaluma, on October 28th, 2017 to create a rain garden and sheet mulched landscape in phase one. 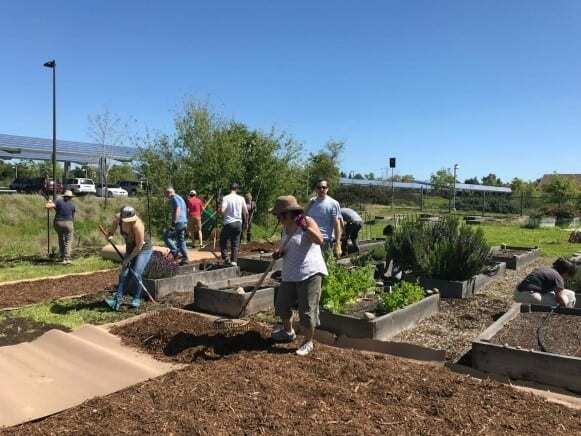 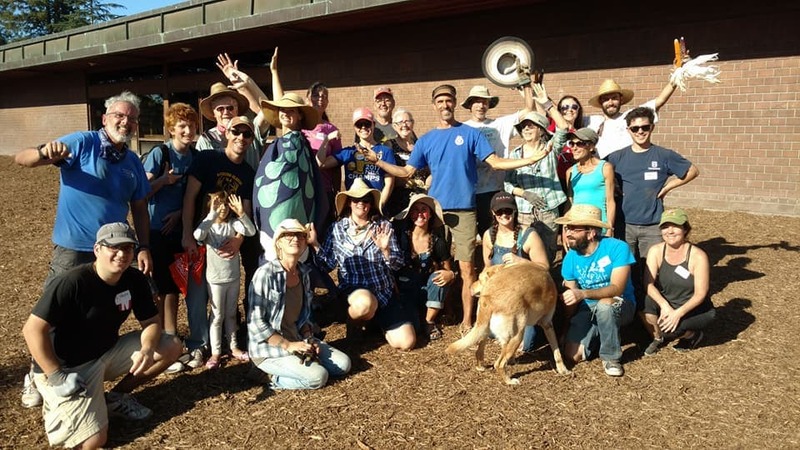 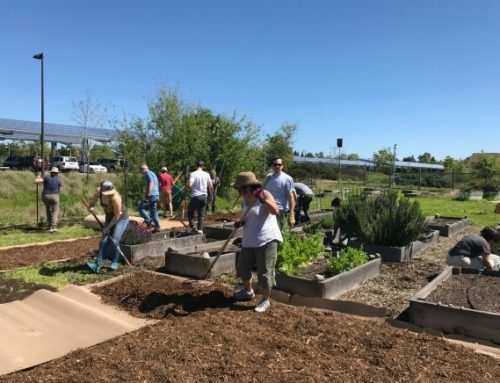 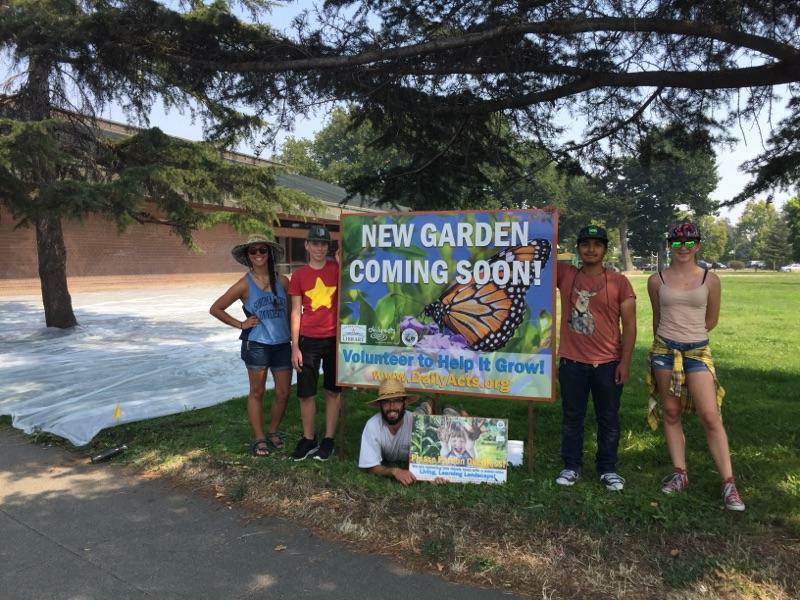 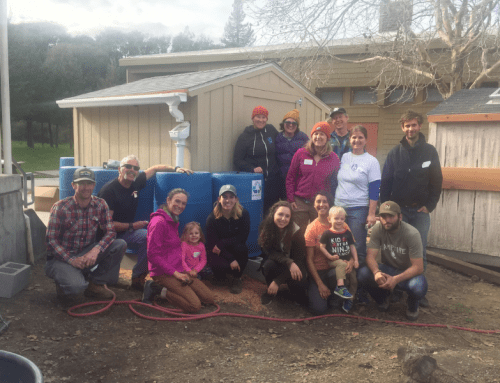 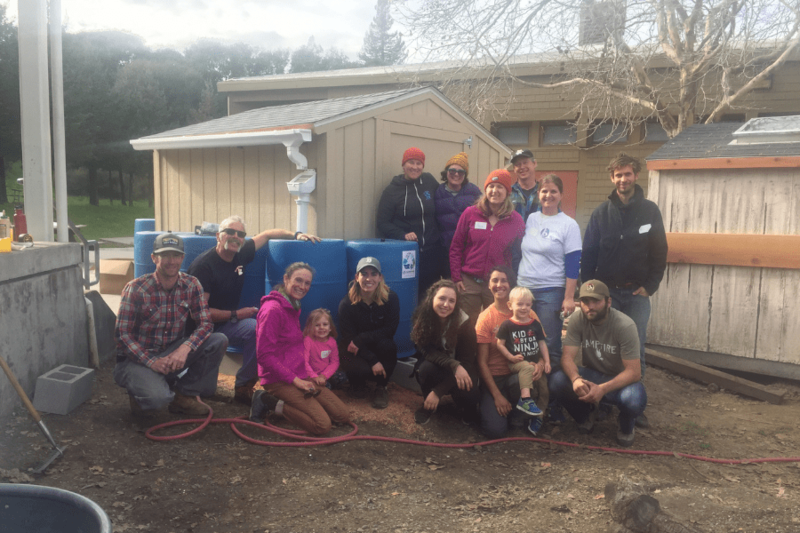 Daily Acts worked with a group of 50+ volunteers and transformed the preexisting lawn, roughly 8,000 square feet, which will save approximately 200,000 gallons of water annually. 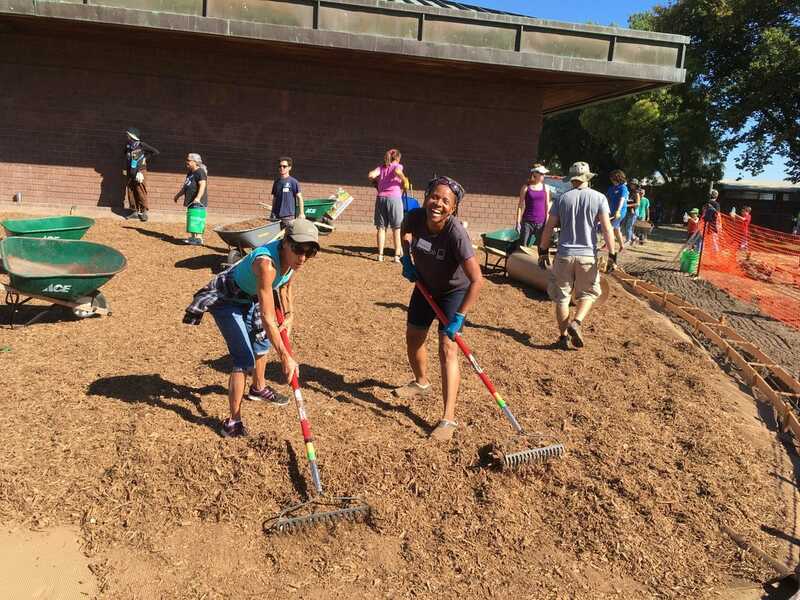 Daily Acts provided a design, training, tools, and leadership for the volunteer group as they sheet mulched. 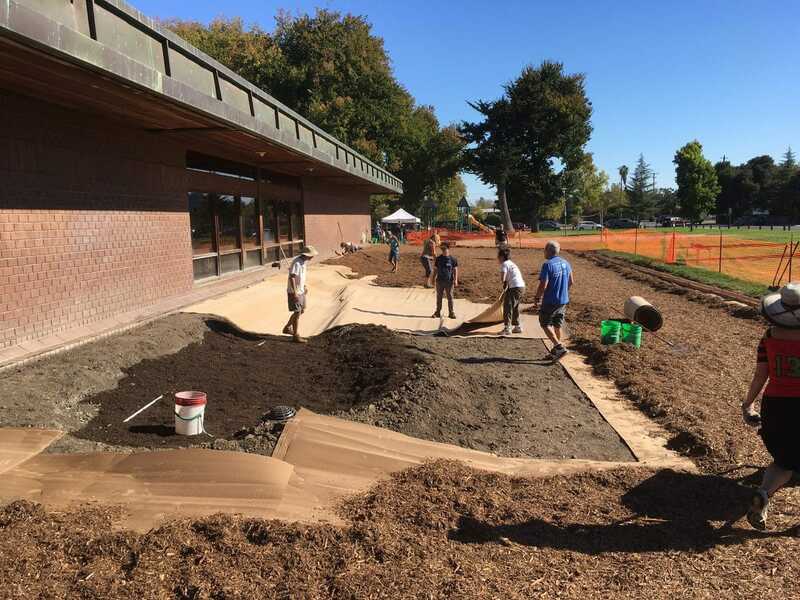 There will be a follow-up planting in the spring of 2018, in order to complete the diverse landscape design, which will include plants that carry characteristics ideal for educational programs at the library.